Wait, I take that back. When I was very young I worked at Starbucks. A portion of my paycheck went towards Starbucks stock which was matched by the company. I (stupidly) sold that stock after a few years and made around $1500 profit. While I did it to get out of debt as a single mom, I should have held on to it and kept adding to my investment account. Short-term thinking got me again, and that was one of my biggest money mistakes. 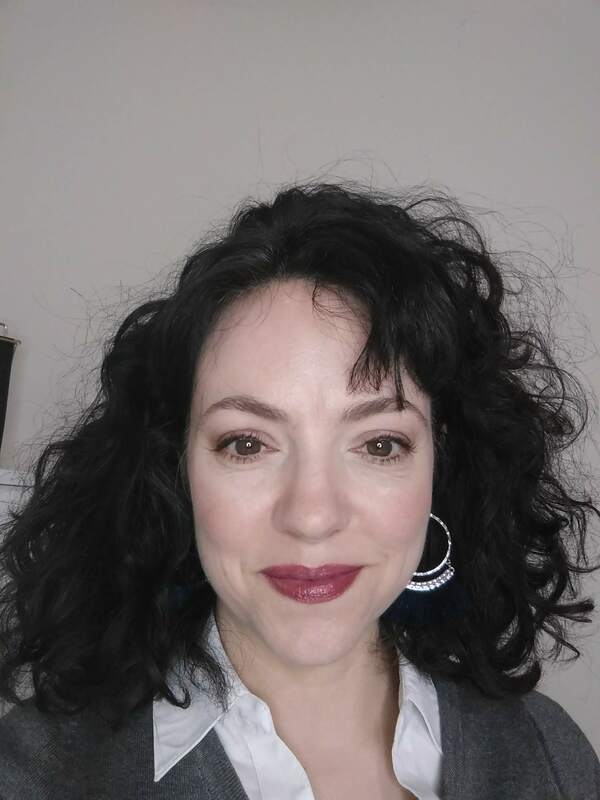 Once I started having children and became a stay-at-home-mom, with no income of my own (something that’s dangerous and that I will never do again), I had no way to invest because I had no money. That was dumb, dumb, dumb of me. But enough about that. When you know better, you do better! Nowadays, things are thankfully very different. Because of the internet and cell phone apps, it’s easy to save and invest small amounts of money. You can begin with as little as $5. There are two apps I use to accomplish this: Digit and Stash. 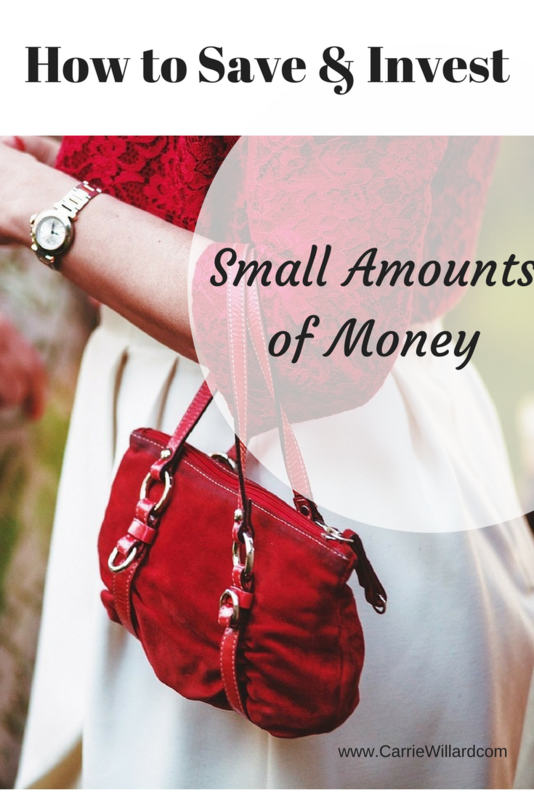 Digit works by taking small amounts of money out of your checking account and saving it for you. By observing your spending and deposit habits over time, it calculates how much you can safely set aside. It holds the money in an FDIC-insured savings account until you withdraw. You can see a video about how it works here. It’s savings on auto-pilot! Of course, you can do the same thing by setting up an automatic transfer from your checking account into your savings. Because you don’t think about it, you don’t miss the money, and you’re forced to live on what’s left. But I like Digit because it forces me to stretch a little, and as a result I end up saving more money each month. Trust me, Digit starts off very small and conservative. It’s not going to drain your account. Digit guarantees that if you incur an overdraft using the service, they’ll refund the fees. 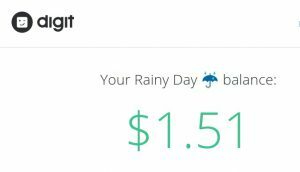 You have control – you can raise or lower the savings amounts (I raised mine because Digit started off so small!) Digit is totally free to use. 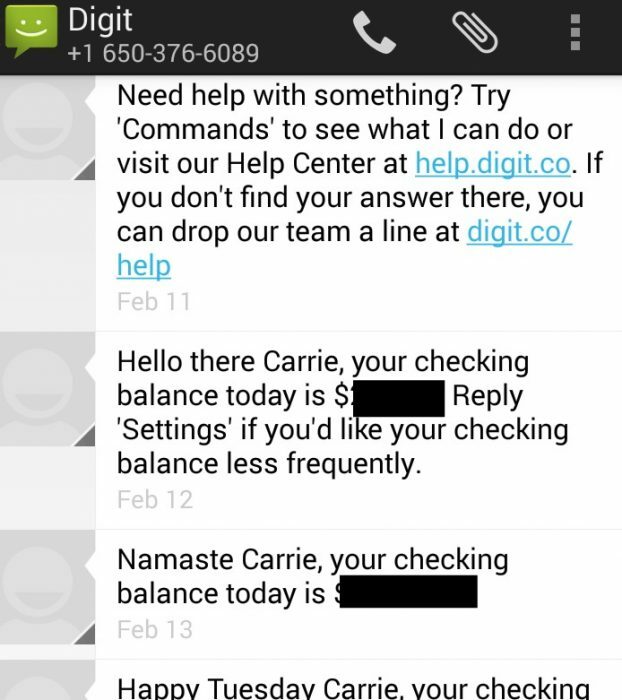 Digit communicates with you every day via text message. It tells you your checking account balance and how much it’s saved you. 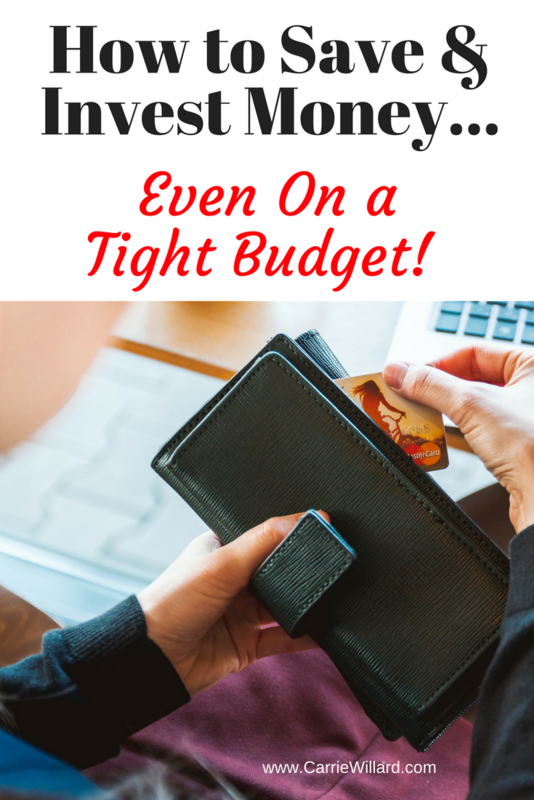 Now that you’ve set that up, it’s time to pull out all the frugal tricks. Do a No Spend Challenge. Use up everything in your house before buying more. Quit going to stores (here’s a list of things to do instead of shop). Read all your favorite frugality books. Get my book, The Temporary Tightwad . Use your tax refund to start a home business. Save all the money you can, as fast as you can. Get some leverage. Now that you’re saving some extra money, it’s time to invest it! How to invest small amounts of money. I use the Stash app for this. You can start investing with just $5. And they give you that $5 for free, just for signing up! There is no excuse not to be an investor anymore. It doesn’t take fancy knowledge. It just takes a bit of action! You tell Stash how much money, how often, to transfer from your checking account into ETF funds. They charge $1 a month for accounts under $5,000, so you don’t have to worry about your ‘stash getting eaten up in fees either. 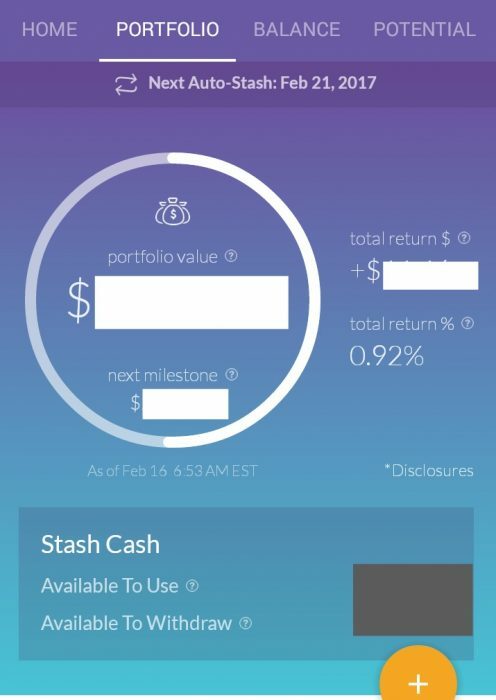 Stash makes it SO easy to invest. You get to pick from the investments you want, such as “Clean & Green,” “American Innovators” or “Globetrotter.” You can also choose NOT to invest in things that go counter to your values – for example, tobacco industries. The funds available on Stash are actually ETFs run by well-known investment firms (names like Vanguard and Charles Schwab). One final thought about investing in the stock market. For those who believe it’s unsafe, I present this long-term view of its performance. Does that look risky to you? Investing is a long-term game. We’re talking decades, not days. Technology is a tool like anything else. If we don’t let it be our master but rather use it for good, it can be a blessing. One of these blessings is knowing how we can save and invest small amounts of money with the click of a button! That reminds me of the book, “The Automatic Millionaire,” in which the author recommends automating both bill paying and investing. Anyway, like you, if I had known when I was 22 what I know now…well, but I didn’t. We just have to be happy that we learn and grow and have the chance to make better choices. I keep trying to convince Mr. Picky Pincher that we should invest with those apps. 😉 I think it’s particuarly appealing because you can start investing while you’re still in debt since the amounts are so small. I’d be interested to see in the long term returns, but generally it’s better to start now than later when it comes to investing. Carrie, this is just the post I needed- we’re currently on a tight income while I’m on unpaid maternity leave and I’ve been trying to decide whether to commit to saving money even though we’re also using our savings to live, if that makes sense. These apps make it seem easy to start now, get in the mentality, and then increase savings when I’m back at work. Thank you! “Get in the mentality” – yes exactly! It’s all about habits. Later you can increase the amount. Yep, yep, yep – sooner is better than later. If I had it to do over again, hubby and I would have begun investing while we were paying off his debts. His debts had no interest because they weren’t credit cards, so we would have been earning interest from the investments. It would have taken us a bit longer, but we would have come out ahead. It’s a bit depressing to get out of debt only to have a ZERO net worth. Live and learn! True. When we know better, we do better. I love this! Thank you so much, I’m signing up for both today! This is an interesting way to save money. Always looking at new ways and never heard of this one. Will be showing my husband so we can discuss this. Digit and Stash are so cool! I’ve always been a good saver (almost obsessively) but I alway have work take out my retirement money BEFORE it gets to me that way I know it is taken care of, similar to these tools. I have not heard of Stash and I will definitely check it out. I’m pretty good at saving money and one of my challenges was recently featured on Clark Howard’s website, however, I need to get better at retirement savings. Thanks for the great info! Both of those sound like awesome options. Thank you for sharing! I have been using Digit for a while now and absolutely LOVE! I have thought about trying Stash! I will for sure try soon! Thanks for the info! Cool, let me know what you think Amanda!